Hopefully you've already spent plenty of time this summer out enjoying your outdoor space. While you're out soaking up the sun, you may have noticed that your deck or patio could be better optimized or freshly decorated. There's plenty of brand new ideas here at homify, for how to revamp your summer space in all new ways. 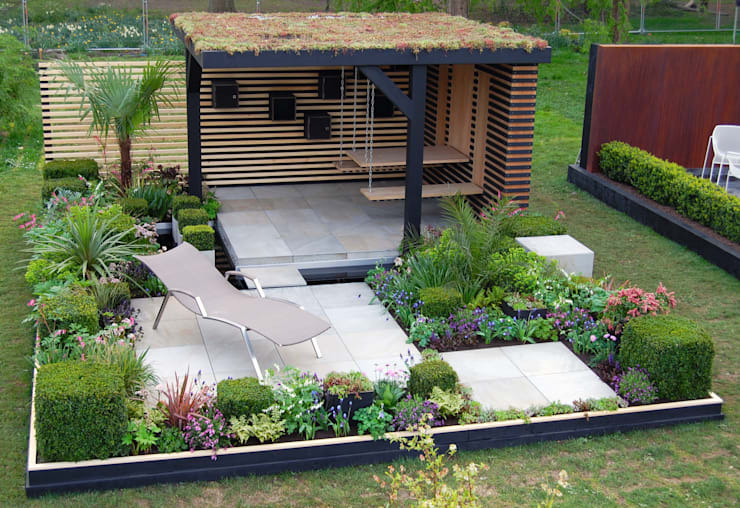 One of these amazing yards is bound to give you the perfect idea for your own space. 1. 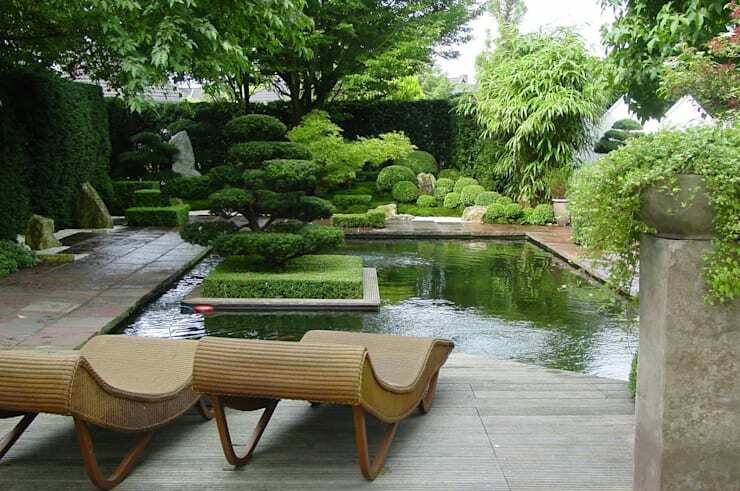 This combination of shaded and sunny space is connected by concrete steps and overflowing with lush greenery. 2. If your covered porch is empty, add in as much seating as it take take, and several potted plants. 3. 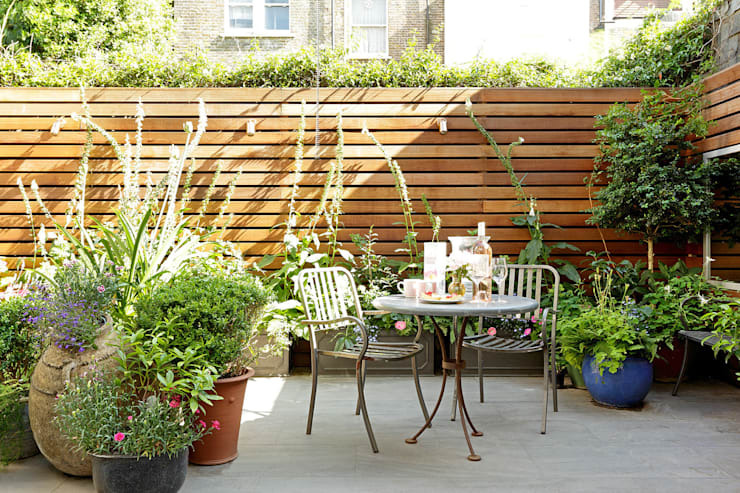 Surrounding your seating area with simple wooden fencing, and add some vines to cover it. 4. 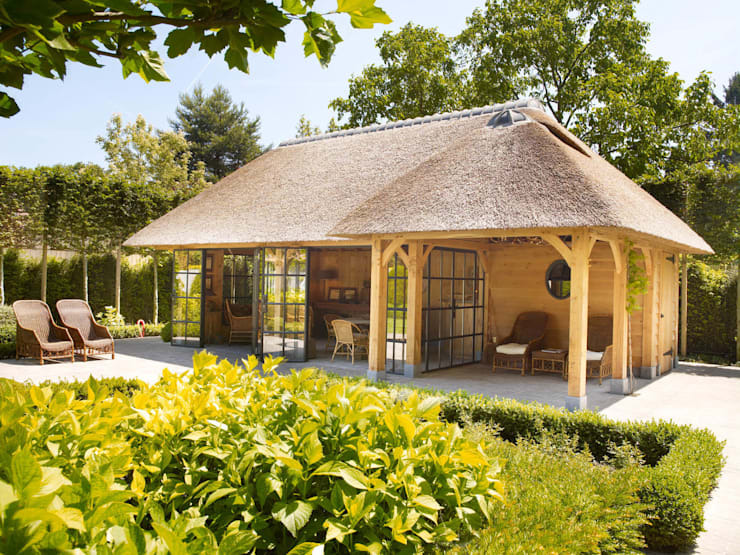 A tall, dark pergola can be quite sophisticated. Add in glass walls and pot lighting. 5. 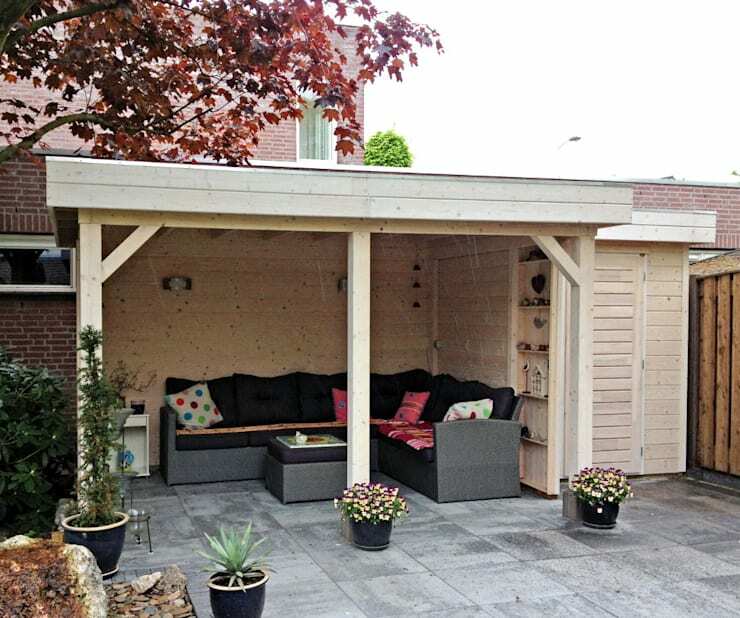 This smaller pergola is still is elegant, especially in this grey. 6. This fun play area is perfect for young children, and looks so soft. 7. 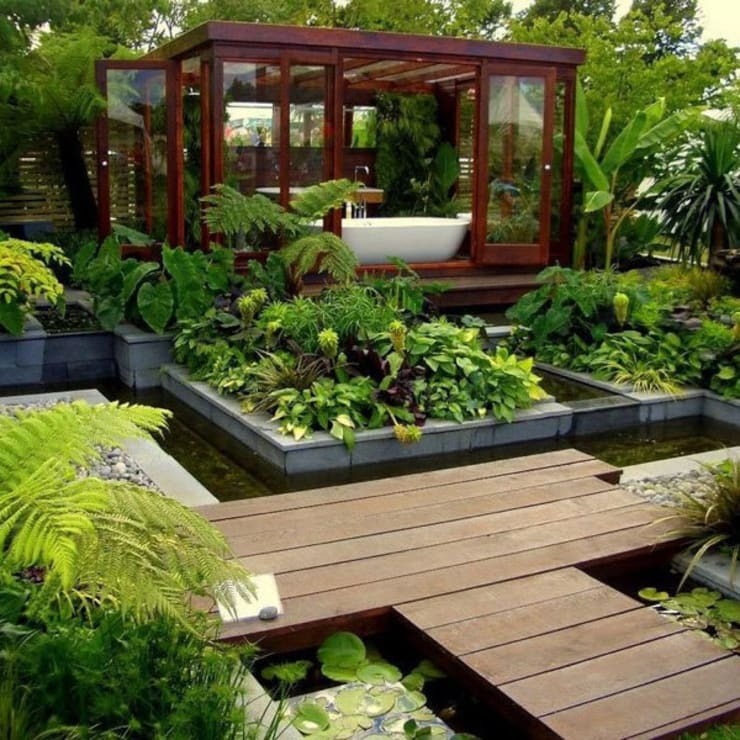 Why not create a little island of your own in the middle of your water feature? 8. 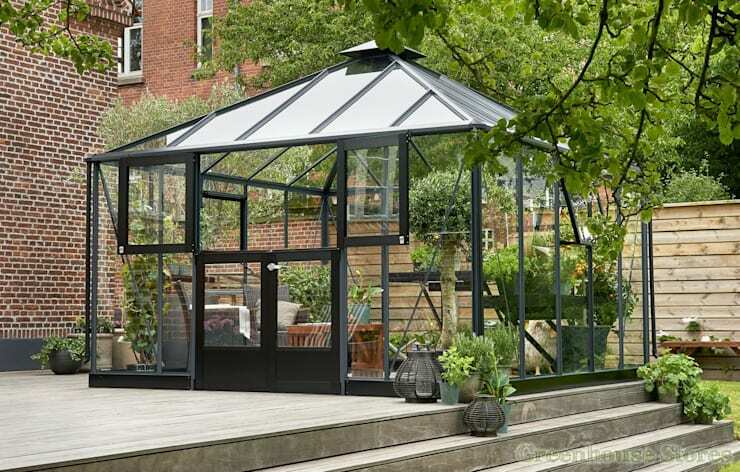 Greenhouses aren't just for raising plants, they are great sitting spots in colder weather. 9. 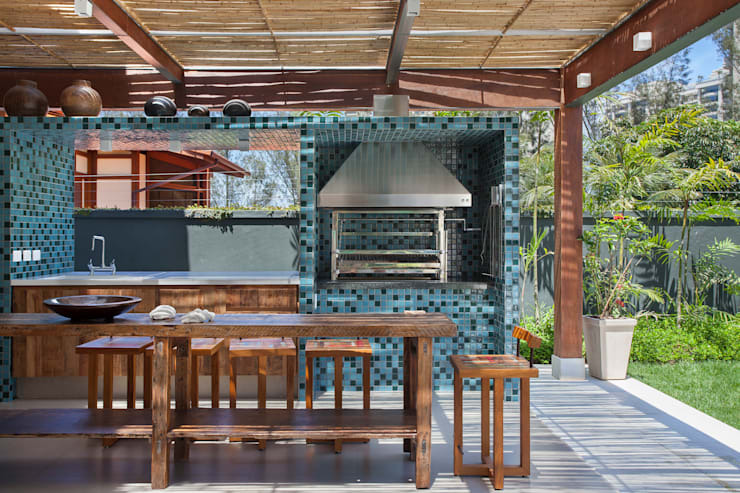 This unique space combines several elements to great success, including the pergola, garden bed, water feature, and wooden walkway. 10. 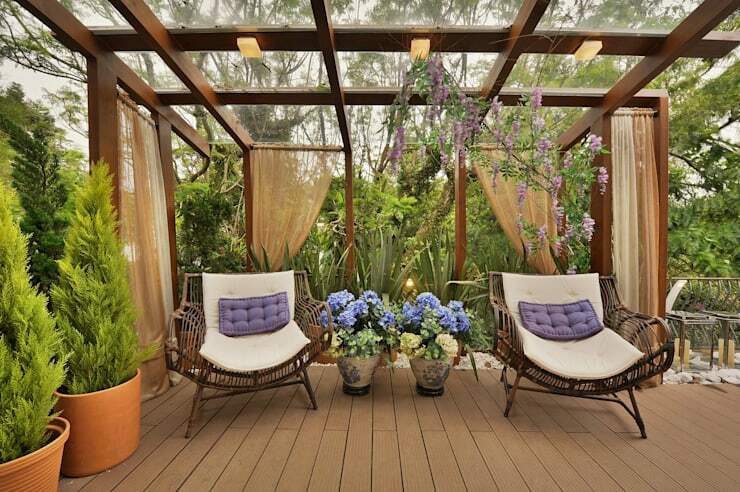 To brighten up the seating under any pergola, add overflowing flower pots and decorative pillows. 11. Why not have a rotisserie outside? It's less work than barbecuing and leaves you free to socialize. 12. This hot tub set up has to be our favourite yet! 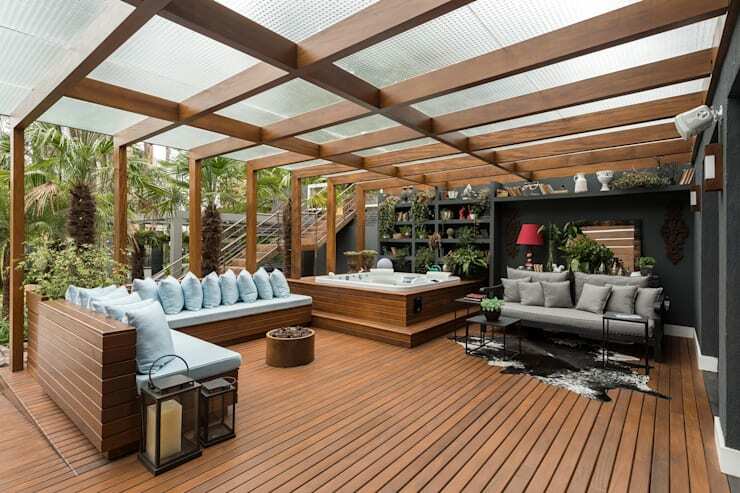 It is built right into the deck, and there's so much seating for when you want to dry off. To make a deck this elaborate you are going to need some professional help. 13. These mirrored doors open up to invite the fresh air an sunshine right into the dining room. Speaking of dining room, are you ready to head in for a meal? Consider these 9 fantastic kitchen styles for families.